Past studies have shown that people who sit for too long are more likely to develop deadly diseases (diabetes, cancer, other fun stuff). Now, a new study from Northwestern University has found that physically active women also spend too much time on their asses, because even those who work out every day spend as much time sitting as their lazier peers. This research is the latest indication that public health recommendations should be established to encourage Americans to limit the amount of time they spend sitting every day, said Lynette L. Craft, first author of the study and an adjunct assistant professor in preventive medicine at Northwestern University Feinberg School of Medicine. 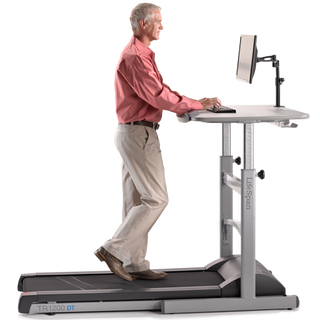 TL;DR: If you are not jogging RIGHT NOW, you are sitting too much. But seriously: how many more similar studies will I read until I’m shamed/scared into buying an exercise desk? Or at least start walking down the street to get my lunch?